Hearing Tests Should Be Performed at 55 Years of Age or Earlier. 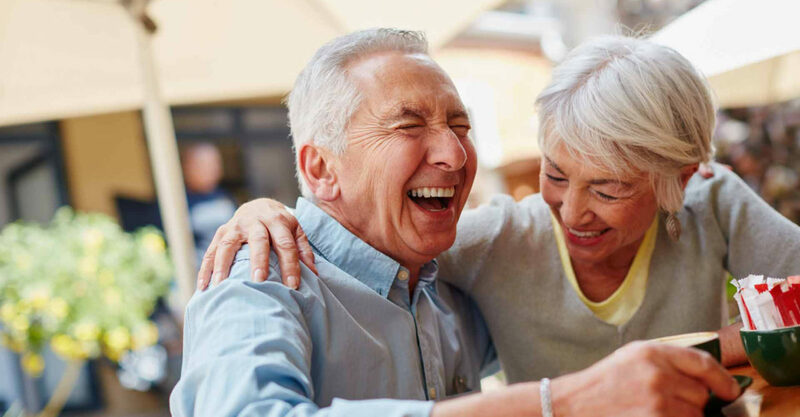 If testing results indicate that hearing aid devices are an appropriate consideration, we will discuss all of your options and work together to find the best solution from our extensive line of proven hearing products, with competitive pricing and a 90-day trial period, for you, your lifestyle and your budget. Once you have made a decision to purchase hearing devices, a fitting appointment will be scheduled. We encourage you to bring a family member or loved one with you to this appointment, which will last approximately 1 hour. At this appointment, time will be taken to ensure that you feel comfortable with your new devices, have a good understanding of realistic expectations, are hearing well, are shown everything you need to know to wear and care for your new devices with confidence, and any questions you may have are adequately answered. Testing will also be done to verify that your new hearing aids are programmed and working optimally for your specific needs enabling you to rediscover the joy of sound. At the conclusion of this appointment, a follow-up appointment will be scheduled for approximately 2 weeks. Additional follow-up appointments will be scheduled as need determines, including a check-up every 6 months. In addition to any appointments that may be scheduled at the clinic, we encourage you to contact us at any time with questions, concerns, or the request for an appointment. We are here for you and we fully intend to travel this journey together with you. Once a hearing loss has been diagnosed, it is important to continue regular hearing assessments to monitor any changes that may occur with either your hearing or your overall ear health, whether or not you wear hearing aids. Hearing re-checks are scheduled by a recall system and are provided at no charge. Hearing aid cleaning and programming adjustments will be provided for the lifetime of the device, regardless of where the device was purchased. Using the results of regular hearing assessments, we will be able to ensure your hearing devices are programmed for optimum benefit. Did you know that you can transfer your existing hearing aid warranties and service packages at no cost? Just another way we are making it easy for you to support your local community and to choose your preferred service provider. We will help you maneuver through the application process to determine if you qualify for ADP, WSIB, VAC, or ODSP funding, and work together with you to find the best hearing solution for you and your lifestyle. Custom-fit earmolds are available for swimmers, musicians, those who spend time in noisy environments, and those who have difficulty sleeping due to distracting noise.